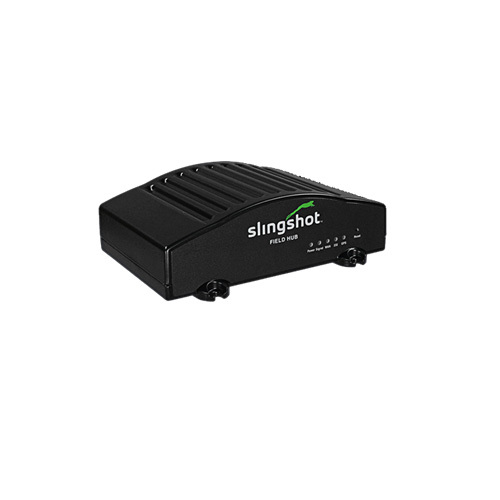 The Slingshot Field Hub allows you to access Slingshot’s advanced RTK correction signals, or those provided by third-party providers, such as CORS networks. Slingshot’s cellular-based RTK enables you to operate without worrying about line of site limitations characteristic of radio-based RTK. You can provide RTK coverage for up to 1.8 million acres with a single Slingshot Base Station. Slingshot GS is a new cellular-delivered correction service with decimeter accuracy, without the need for a local reference station. You can even leverage your existing Slingshot Field Hub and Raven GPS hardware to access Slingshot GS. Store your job data from Raven field computers in your secure Slingshot database that you can access anytime, anywhere with a simple Web browser. Observe your fleet and manage operations with any laptop, desktop or mobile computer from anywhere in the world. With a free Slingshot account, you can track equipment locations, dispatch prescription maps, and monitor, collect and analyze job data from Raven field computers.